2 Megapixel HD-TVI Fixed Lens IR Mini-Bullet Camera, 2 Megapixel CMOS sensor, 65 foot IR range, IP67 Outdoor weather rating, Smart IR, Digital Noise Reduction, On Screen Display Menu (Up the Coax), Digital wide dynamic range, 3.6mm fixed lens, 12 VDC power supply not included use ST-PS12VDC1A/2A. 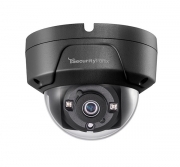 2 Megapixel HD-TVI Fixed Lens IR Mini-Bullet Camera, 2 Megapixel CMOS sensor, 65 foot IR range, IP67 Outdoor weather rating, Smart IR, Digital Noise Reduction, On Screen Display Menu (Up the Coax), Digital wide dynamic range, 2.8mm fixed lens, 12 VDC power supply not included use ST-PS12VDC1A/2A. 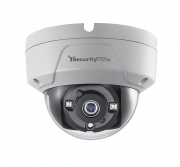 2 Megapixel HD-TVI Fixed Lens IR Bullet Camera, 2 Megapixel CMOS sensor, 3.6mm Fixed Lens, Smart IR, 131 foot IR range, Digital Noise Reduction, On Screen Display Menu (Up the Coax), IP66 weather rating, 12 VDC Power supply not included use ST-PS12VDC1A/2A. 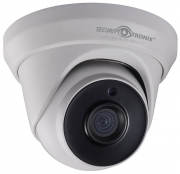 2 Megapixel HD-TVI Fixed Lens IR Dome Camera, 1080p maximum resolution, 2 Megapixel image sensor, 3.6mm Fixed Lens, 65 foot IR range, IP66 weather rating, IK10 Vandal Proof rating, Smart IR, Digital Noise Reduction, On Screen Display Menu (Up the Coax), 12VDC power supply not included use ST-PS12VDC1A/2A. 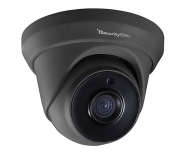 Description: 2 Megapixel HD-TVI Fixed Lens IR Dome Camera, 1080p maximum resolution, 2 Megapixel image sensor, 2.8mm Fixed Lens, 65 foot IR range, IP67 weather rating, IK7 Vandal Proof rating, Smart IR, Digital Noise Reduction, On Screen Display Menu (Up the Coax), 12VDC power supply not included use ST-PS12VDC1A/2A, white housing. 4 Megapixel IP Motorized Varifocal Lens Dome Camera with IR, 2.8 - 12mm Varifocal Motorized lens, ONVIF compatible, 1/3 inch CMOS sensor, ICR, IP67 weather rating, Wide Dynamic Range, 3D Digital Noise Reduction, Back Light Control, IR range up to 98 feet, SD Card up to 128GB (SD card not included), DC12V & PoE, Power supply not included use ST-PS12VDC2A OR PoE switch. Black housing. 2 Megapixel HD-TVI Fixed Lens IR Turret Dome Camera, 1080P, 3.6mm Fixed lens, 131 foot IR range, ICR, 0.1 Lux/F1.2, Smart IR, Digital Noise Reduction, On Screen Display Menu (Up the Coax), IP66 Weather rating, 12VDC Power supply not included. 2 Megapixel HD-TVI Fixed Lens IR Turret Dome Camera, 1080P, 2.8mm Fixed lens, 131 foot IR range, ICR, 0.1 Lux/F1.2, Smart IR, Digital Noise Reduction, On Screen Display Menu (Up the Coax), IP66 Weather rating, 12VDC Power supply not included. © 2017 NACE, Inc. | All rights reserved.